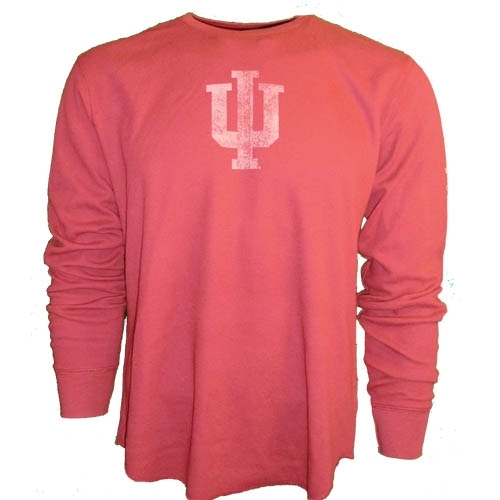 This warm longsleeve crimson thermal shirt from ADIDAS features a distressed "IU" graphic screened on the front. 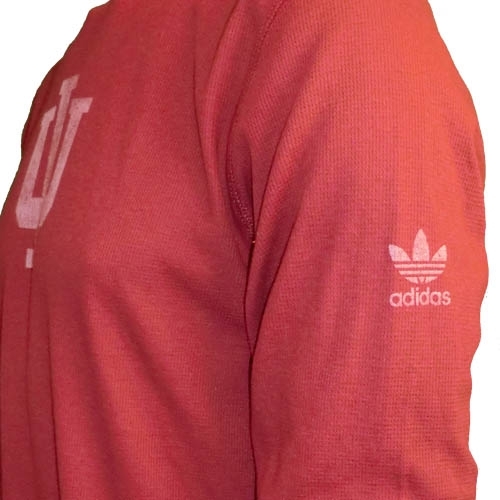 Adidas Trefoil logo is on the left sleeve. 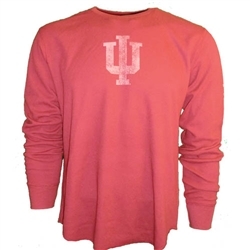 Perfect for layering in the cooler weather! Adult unisex (men's) sizing.